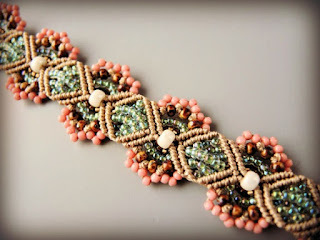 I recently received an order from Bello Modo (one of my favorite online bead stores) with some pretty new beads called Fiesta and thought they might be a nice addition to these colors. The pinkish color looked really pretty outlining the flower shapes and for some extra punch, I filled in the diamond shapes with shimmery blue beads. I also made some macrame earrings to match the bracelet and added starfish dangles. The earrings were so cute, I had to make a pair in tan and turquoise, too. 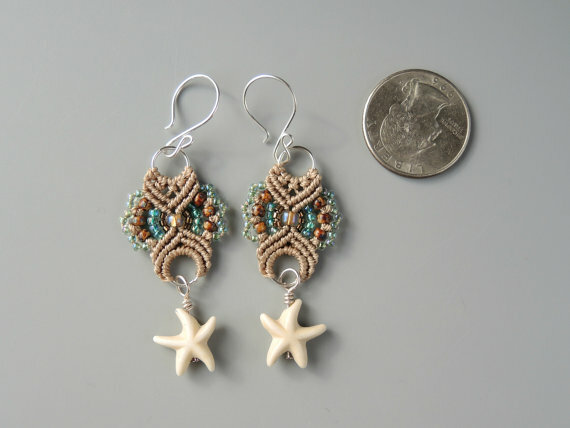 The weather here has been cold and rainy and miserable, so working with these colors keeps me dreaming of sun and sandy beaches! 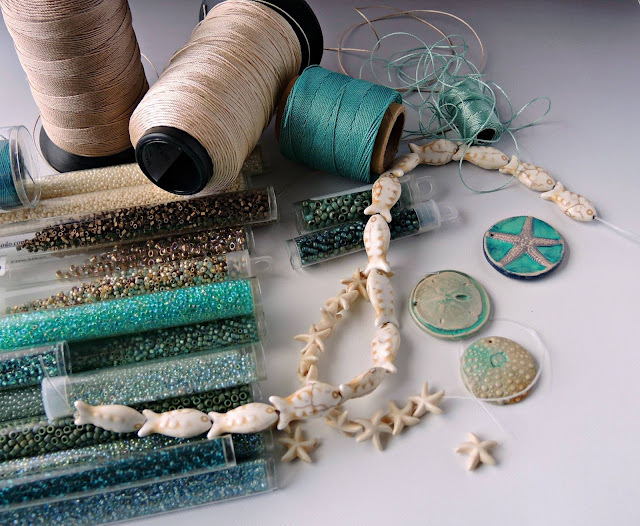 I'm thinking I might have to make a necklace next. What do you think? 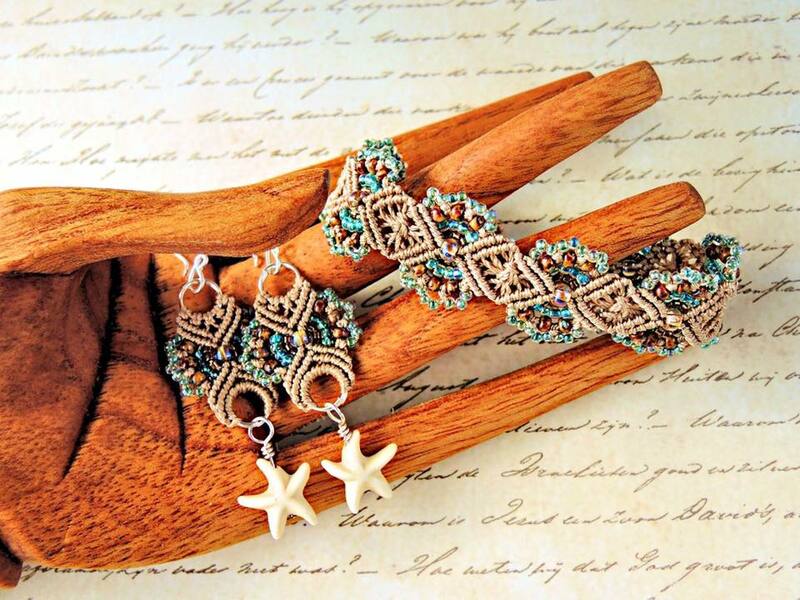 If you'd like to try your hand at making micro macrame jewelry pieces like these, you'll find the bracelet pattern in the Hydrangeas Micro Macrame Bracelet Tutorial in my Etsy shop. 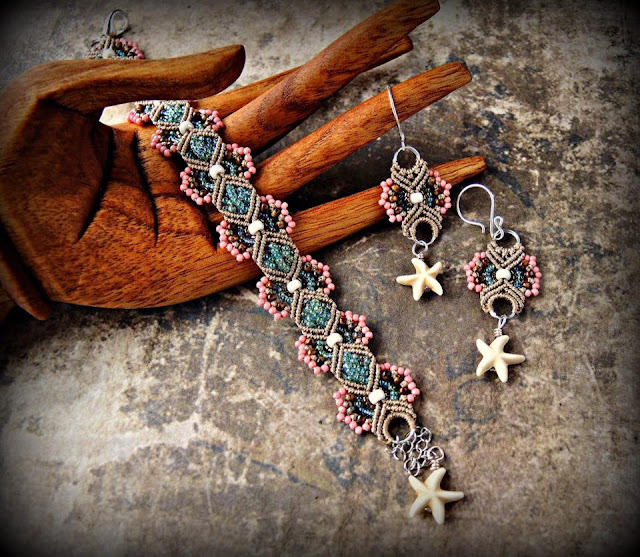 Both the earrings and bracelet are covered in the Hydrangeas Micro Macrame Bracelet and Earrings Class on CraftArtEdu.com if you prefer that format.